Their channel launched in December 2016 with a video in which the couple bakes “pajama sugar cookies” for their children’s holiday party. Since then, Baking With Josh & Ange has featured a number of Kinsey’s Office co-stars as guests, including Creed Bratton—Creed on the show, and Kinsey’s real life neighbor—and Jenna Fischer, Kinsey’s close friend who played Pam. Rainn Wilson, The Office’s Dwight Schrute (and Angela’s husband on the show) has also made a guest appearance on Kinsey and Snyder’s baking show, but not for the episode where the couple creates “Dwangela Little Drummer Boy Cookies,” inspired by The Office episode where Dwight and Angela sing the “Little Drummer Boy” song. Wilson is vegan, so he appeared for a vegan baking episode, which got over 118,000 views, one of the most viewed episodes on the channel. Wilson is no stranger to YouTube, having created the media company SoulPancake, which has produced a number of YouTube videos, including those featuring Kid President. 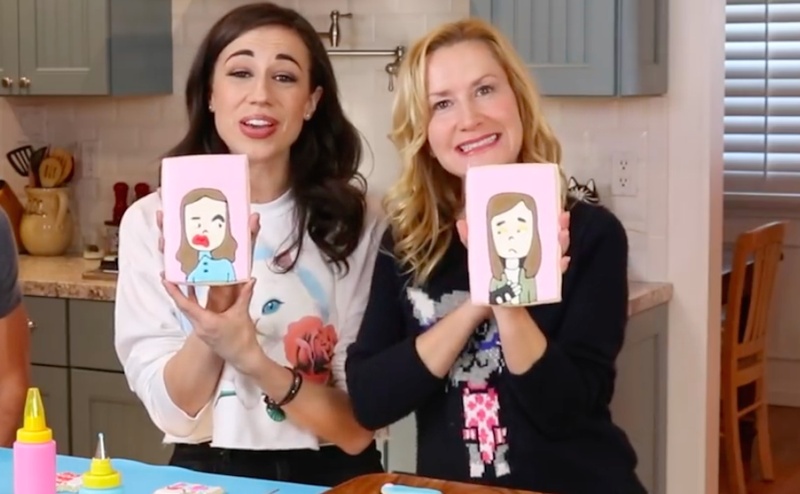 The Office has been over for years, and Netflix canceled Haters Back Off after its second season in 2017, but Kinsey and Snyder’s YouTube channel has over 45,000 subscribers and a way for the cast of both shows to reunite.